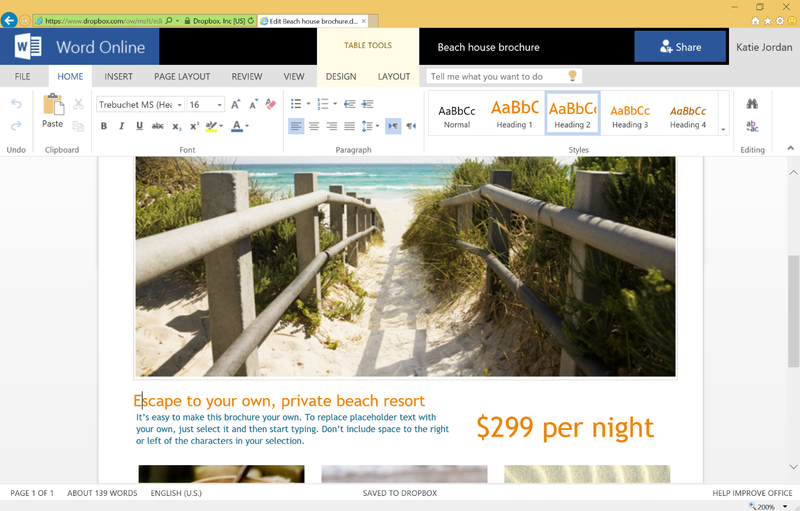 The ties between Dropbox and Microsoft Office tightened Thursday: The two services now integrate with each other. If this sounds vaguely familiar to you, it should: Dropbox and Office began their integration path with the Office apps for Android and iOS, and now have moved to the Web. 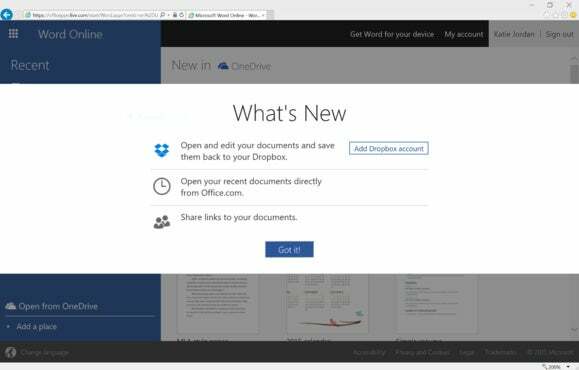 What this means, quite simply, is that Office users have a choice of service to save their Office Online documents—either to Microsoft's own OneDrive service, or else to Dropbox cloud storage. Likewise, if you open a document within Dropbox's Web service, you'll now have the option to edit it within Office Online. 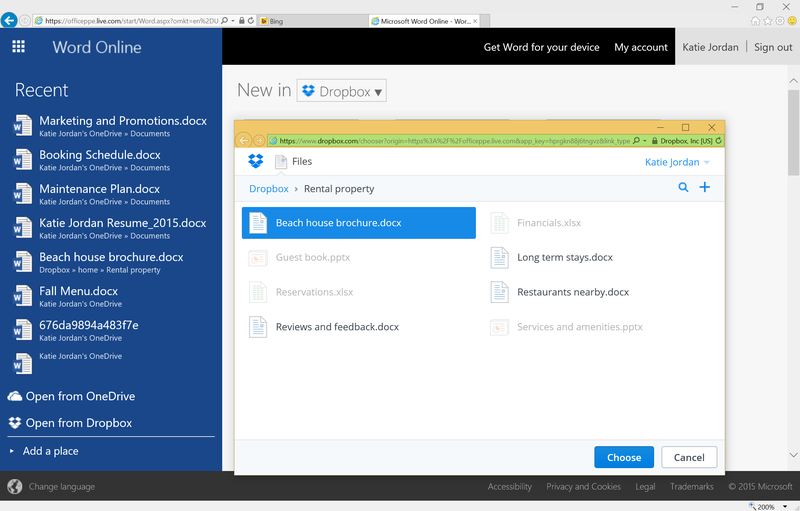 The question, now, is how does an Office 365 application user open and save documents to Dropbox? Microsoft's own support forums suggest a couple of ways: first, this post and script, which supposedly works with Office 2013. But if running someone else's code is a little disconcerting, there's another method: Simply add your Dropbox folder to your libraries, and navigate to it. Sure, it's a bit clunky, but it should be a satisfactory workaround. Why this matters: Granted, Dropbox integration was much more important when Microsoft limited your OneDrive cloud storage. But with new 1-terabyte and unlimited OneDrive options, saving documents within another cloud storage provider is more a matter of redundancy and convenience, rather than necessity. (Note that there's still a "wait list" for the unlimited OneDrive storage, even through Microsoft rolled out the offer last October.) Still, it's always nice to find that your services work well together, even if they're nominal competitors.